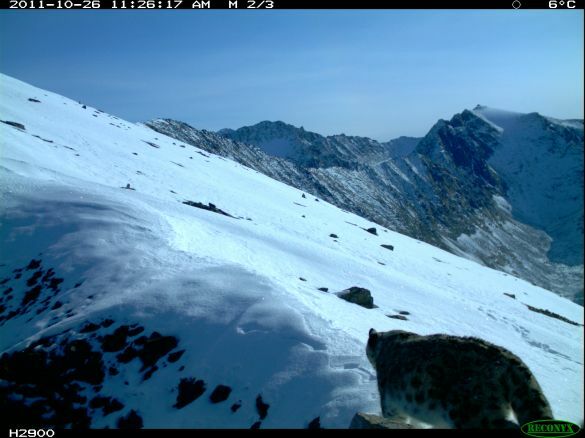 A Russian-Mongolian expedition has captured the first-ever photographs of snow leopards in a remote part of the Altai Mountains. Scientists climbed to altitudes of up to 4,000 meters to post 10 photo-traps on Chikhachyova Ridge, on the Russian-Mongolian border. Two snow leopards were photographed by the motion-sensitive cameras between Oct. 26 and 30. The scientists were accompanied by a German shepherd trained to search for snow leopard traces, including hair and feces.